New Bristol Brewery is a small, but daring, brewery located slap bang in the middle of Bristol. Owned and operated by us, husband and wife team, Noel and Maria. 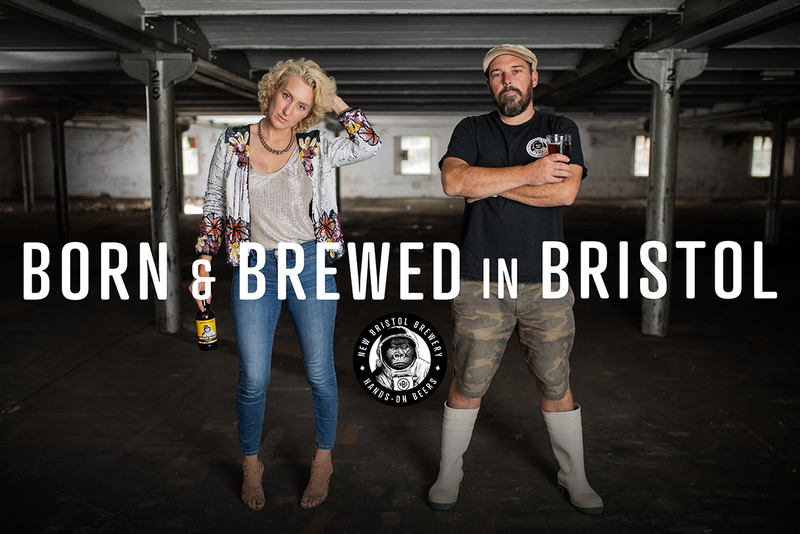 New Bristol Brewery is our attempt to bring people together over great beer. We believe that beer should be as delicious as it is refined, approachable and of course fun. We believe independent beer is not just an industry, it is a family, a community and a revolution. Together we brew, bottle, clean, sell and deliver everything – we love what we do and we love the support we get from our beloved city! We brew all our beers in small batches, one beer at a time, as it is our goal to keep your taste buds intrigued by constantly producing different flavours. To us making the same beers all the time would be boring and are constantly experimenting with different hops, barrels and yeasts. We take risks and explore the progression of traditional styles to create increasingly forward thinking, great tasting beers. From Citrus soaked session beers, Mango and Coconut IPAs and blow torched brown sugar and coffee infused stouts; we are proud to brew modern, award winning ales that never compromise on freshness or flavour. Know your brewer. Drink local. Have fun.